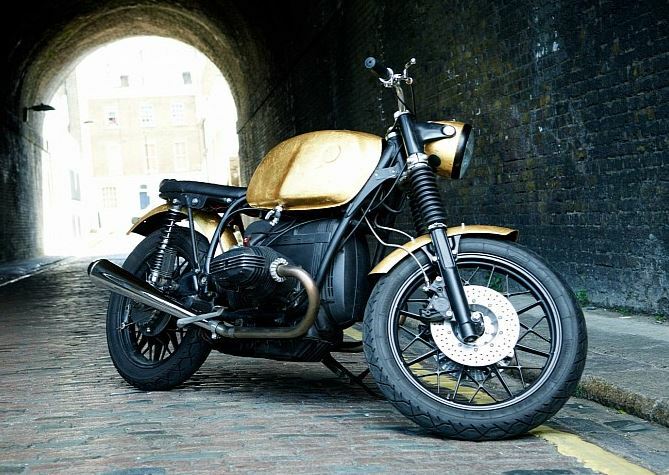 Gold has been used in quite a few custom builds over the years, with the world record being held by a 315 kg that went into a single motorcycle. 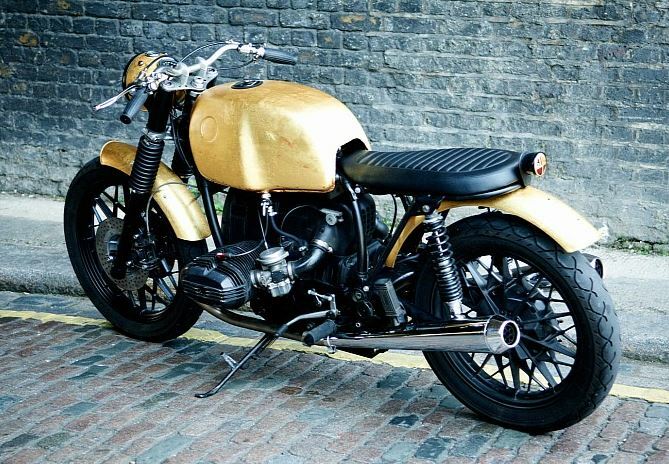 And while usually a custom build that uses gold tends to be flashy and/or opulent, there are a few builds out there that are a sight to behold. 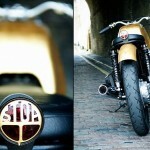 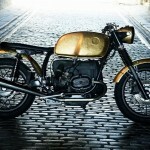 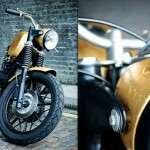 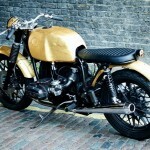 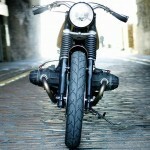 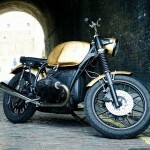 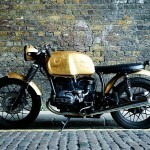 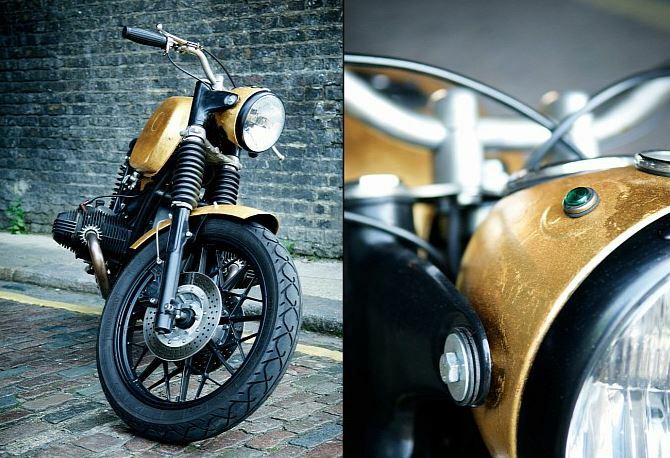 One such recent project involves a BMW R80/7 bike, and it came out the garage of Untitled Motorcycle. 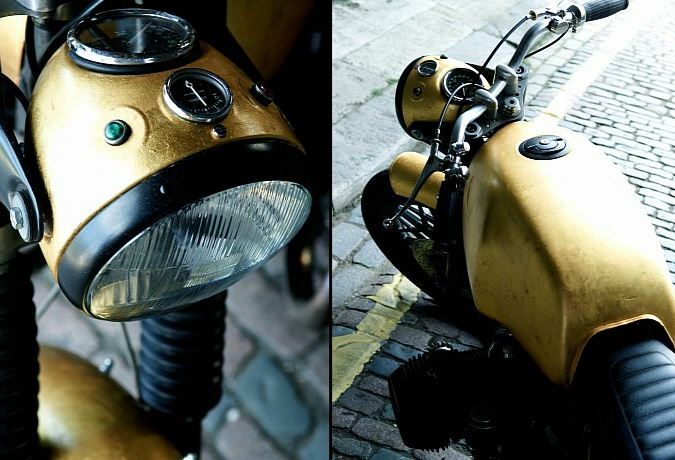 Starting with an old, beat-up machine, Adam (the owner and builder) managed to bring it back to life in a very nice way. 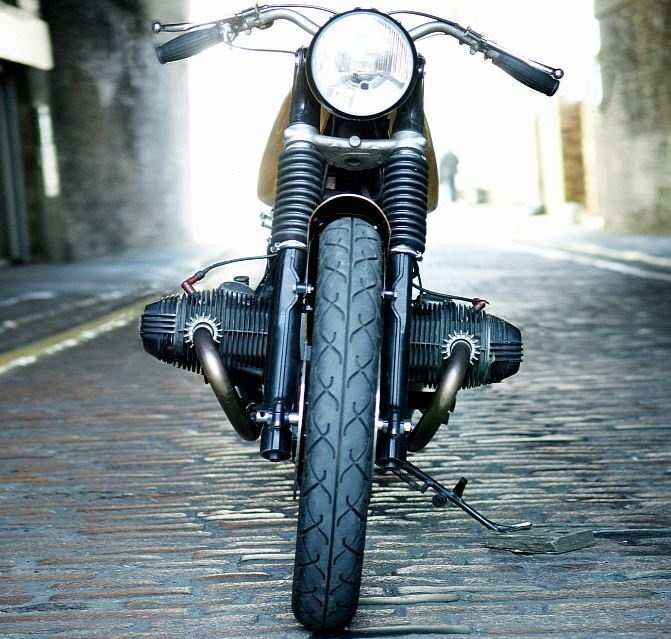 The engine was rebuilt, the electrical wiring was routed out of sight and a few improvements were added. 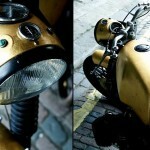 The gauges were placed inside a custom headlight casing and a new and improved seat was installed. 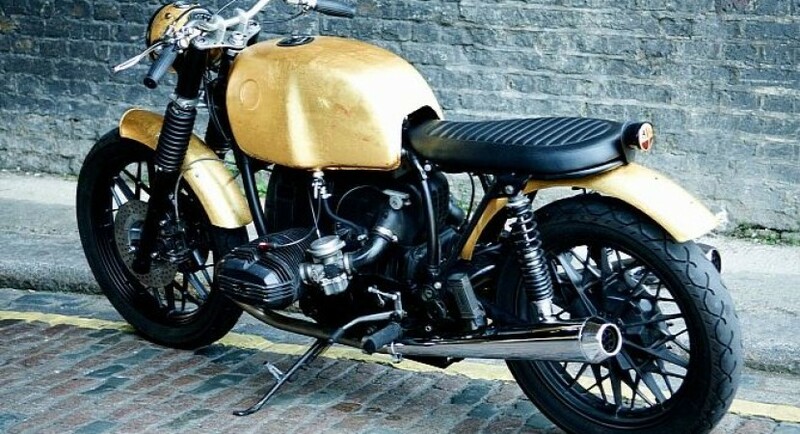 All the body panels were draped in gold leaf, and in order to get a nice contrasting look, the rest of the bike was finished in black. 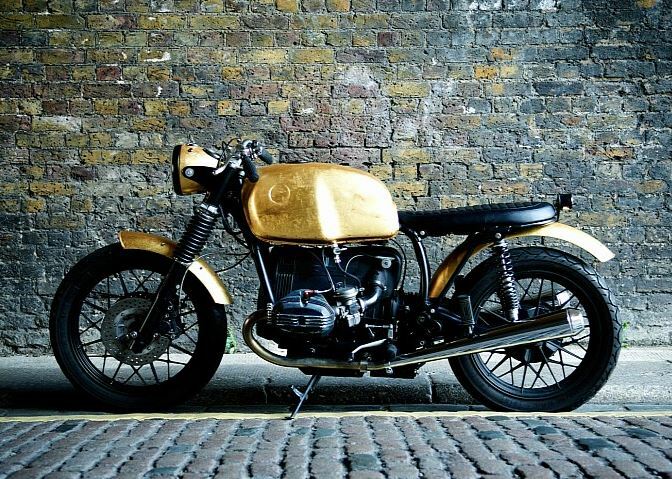 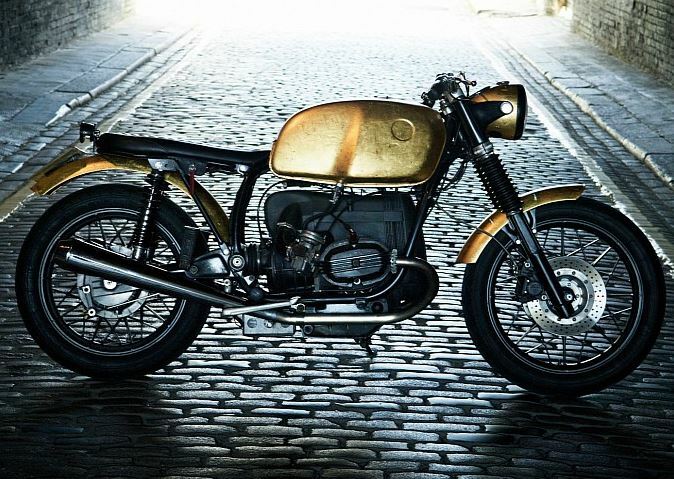 While the amount of gold used on the BMW R80/7 is nowhere near the amount used by Tarhan Telli on his bike, I, personally, would still avoid riding this build too often. 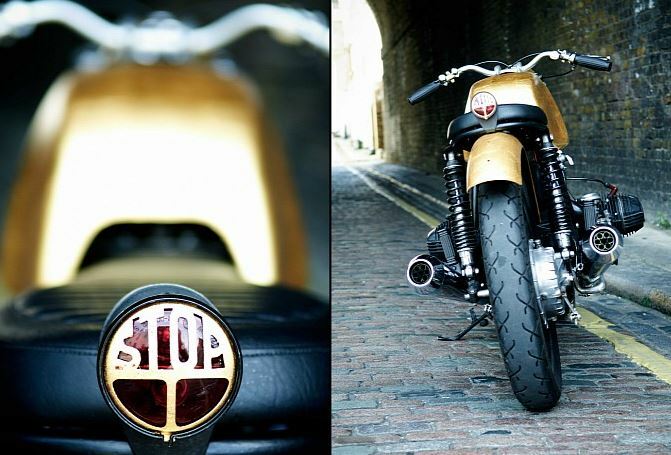 But Adam uses it as an everyday bike, allowing the public to admire the machine.